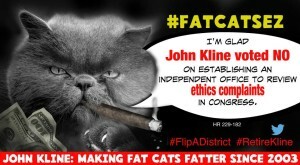 Election 2014: Time 2 Clean House and De Kline Congress! Because Americans deserve a Champion working for them; Not a Chump working for the Fat Cats of For-Profit schools. If you agree, will you tweet? Thanks!